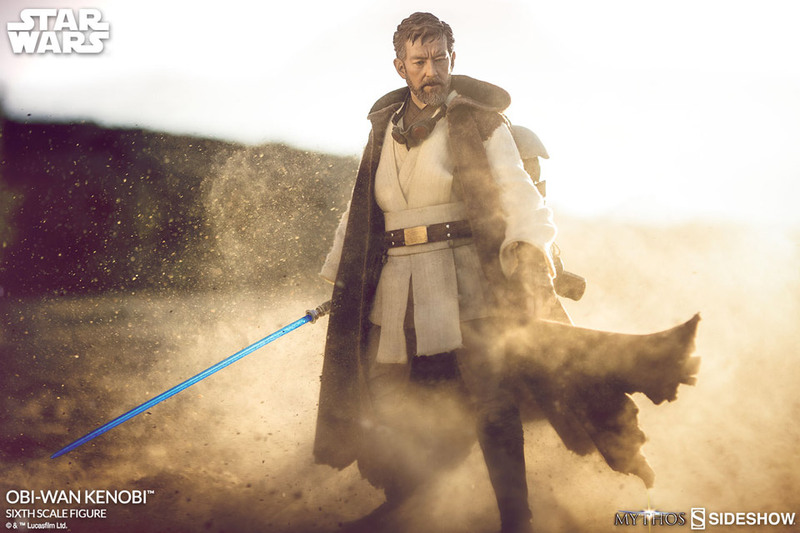 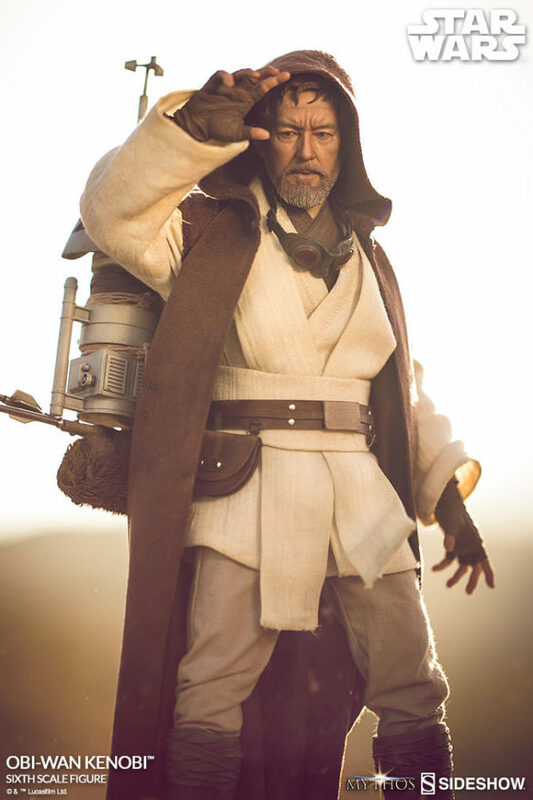 Started in 2012, Sideshow Collectibles’ Star Wars Mythos line seeks to “portray moments in the imagined lifetimes of [Star Wars] characters and reveal them in a new way, in a new light.” Previous Mythos collectibles were all polystone statues, but the latest in the series is a fantastic sixth scale action figure of Obi-Wan Kenobi. 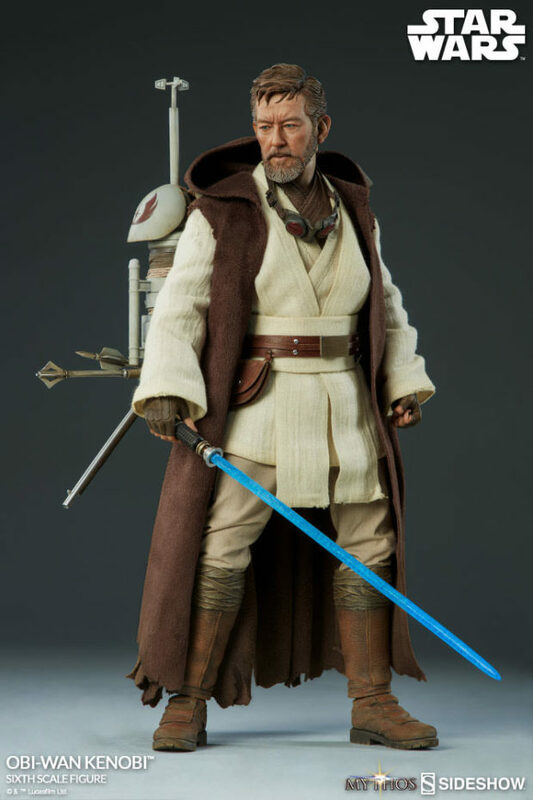 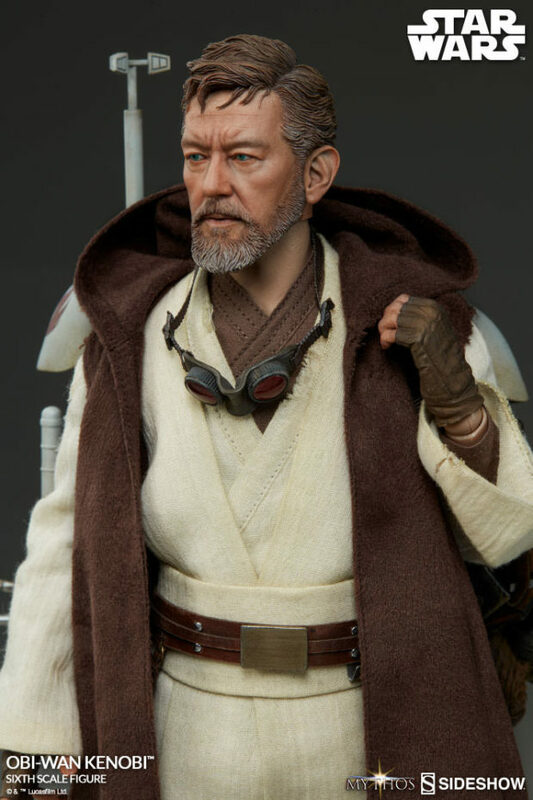 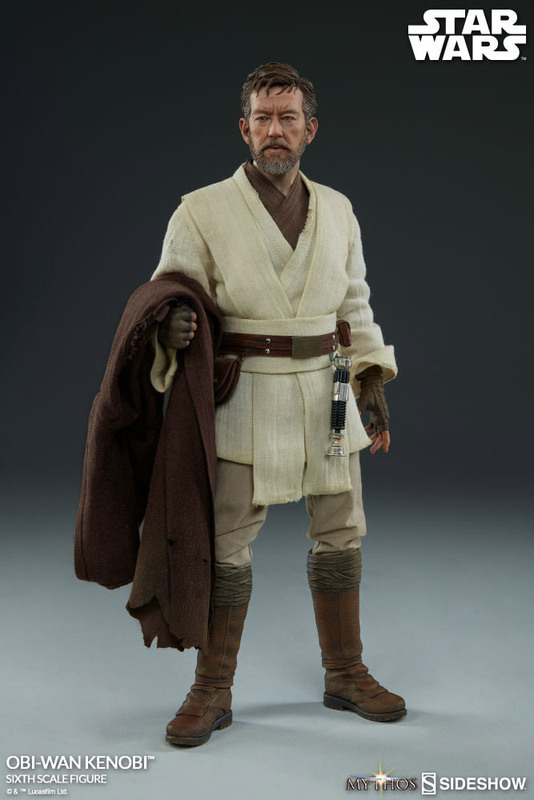 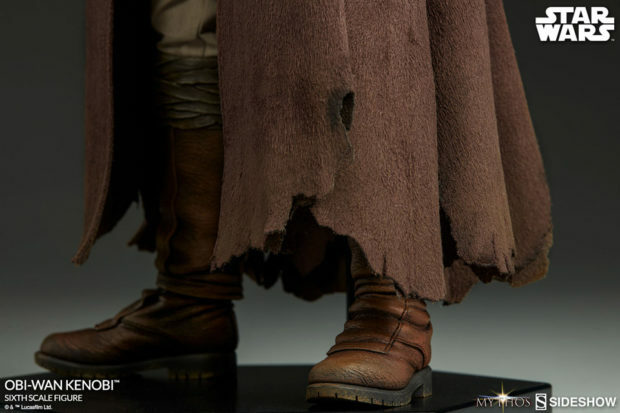 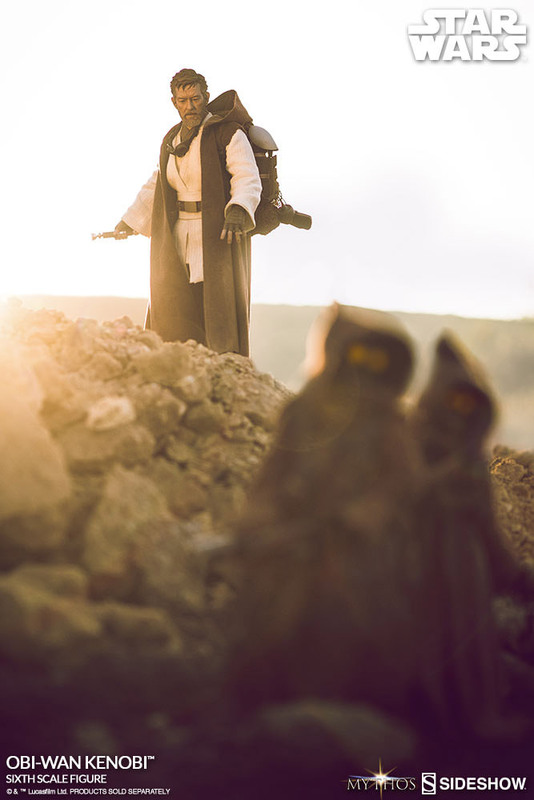 Like the Ben Kenobi Mythos statue, the action figure’s face and timeline lies in-between Episodes III (Ewan MacGregor) and IV (Sir Alec Guinness). 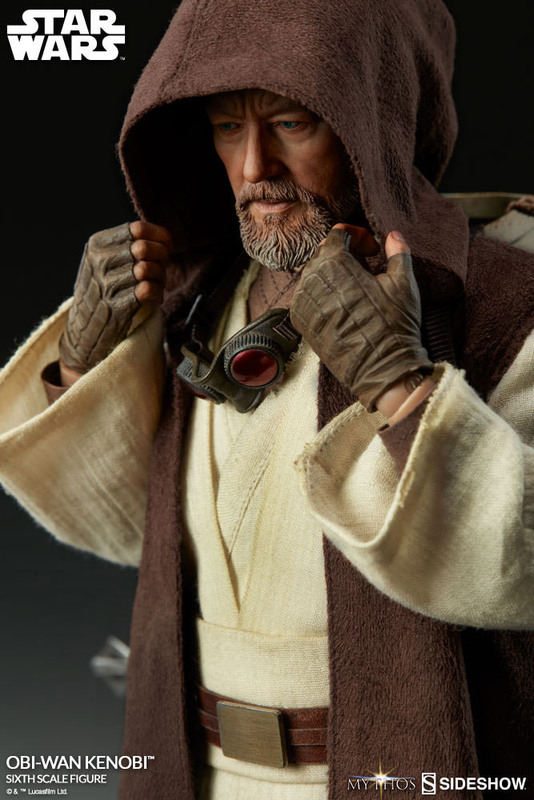 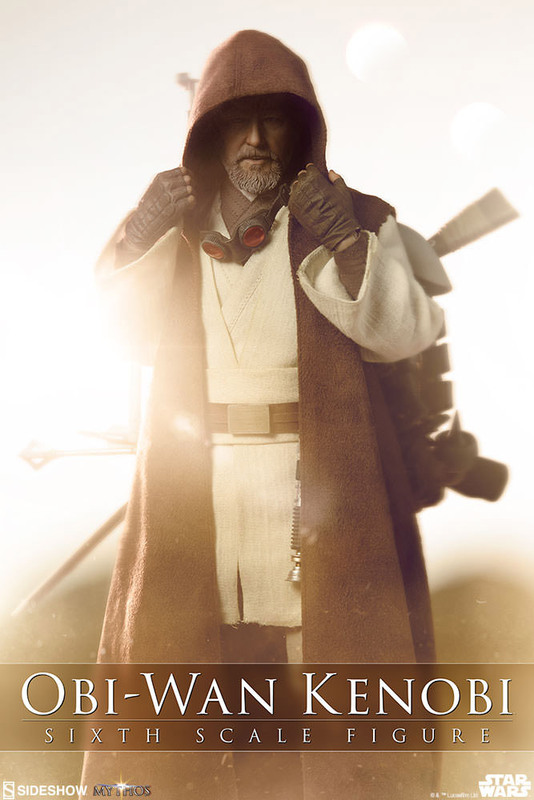 This is “an aged Ben Kenobi who has witnessed the destruction of the Jedi Order at the hands of the Empire.” And my goodness does it look alive and tired. 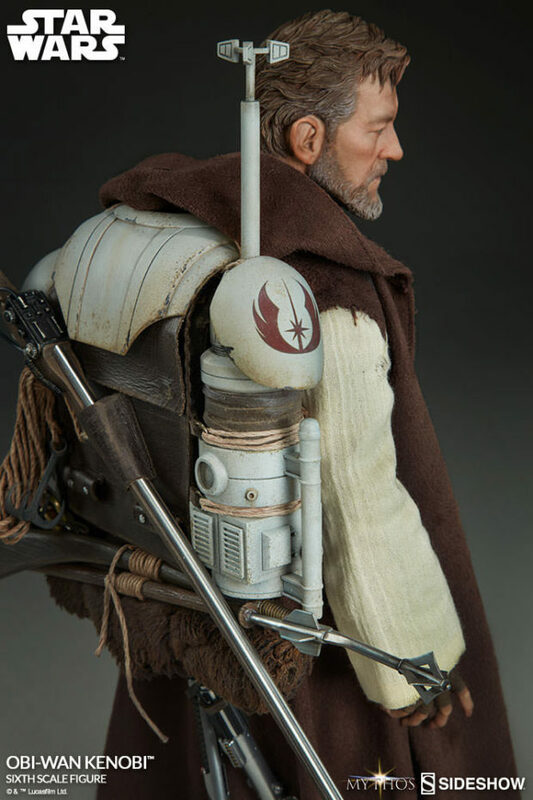 It’s a perfect extension of the original trilogy’s Old Western sci-fi aesthetic – something we take for granted now but was revolutionary in its time. 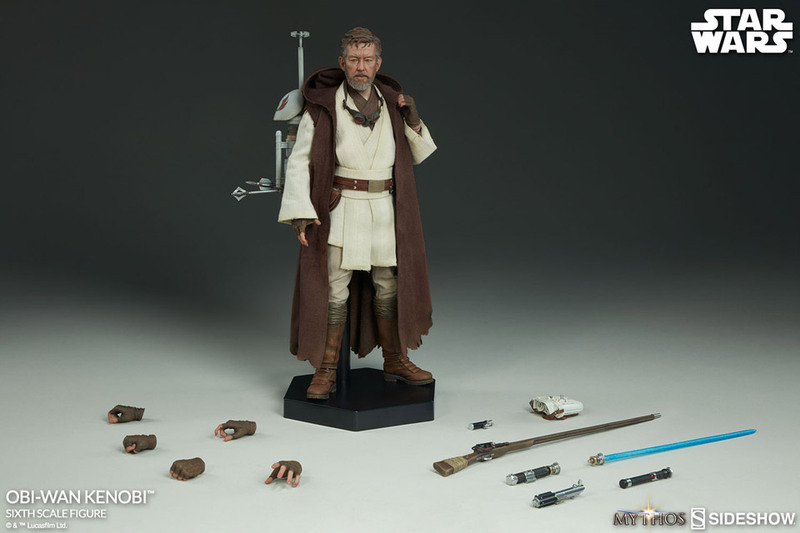 Aside from the figure’s awesome hybrid face, it comes with several accessories from the Jedi Master’s past. 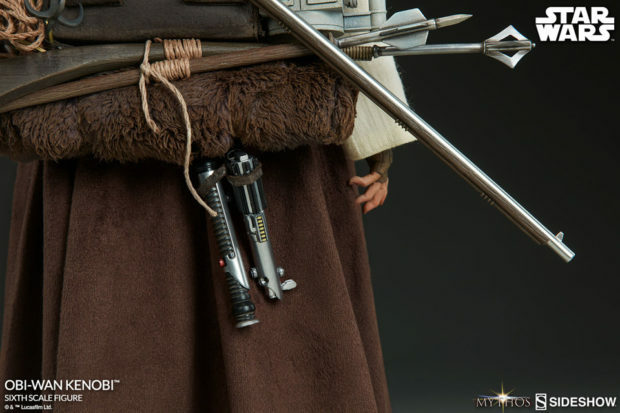 That includes a Clone Wars armor and *sniff* Qui-Gon Jinn and Anakin Skywalker’s lightsabers. 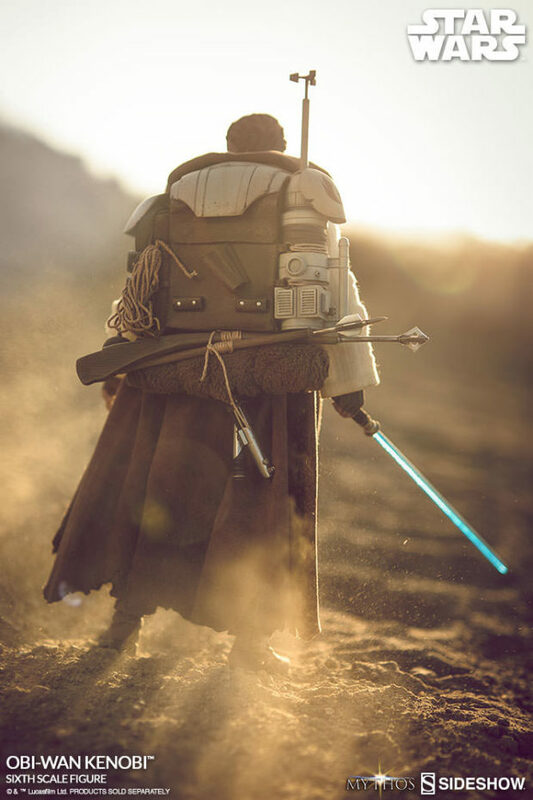 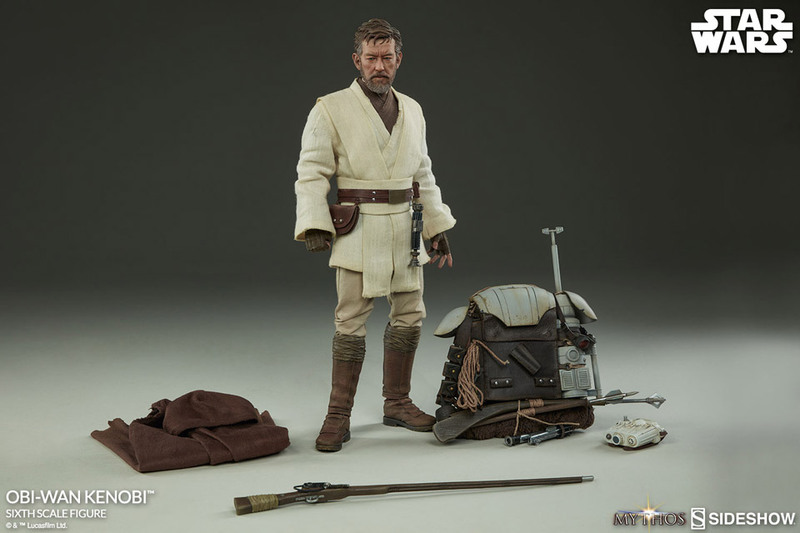 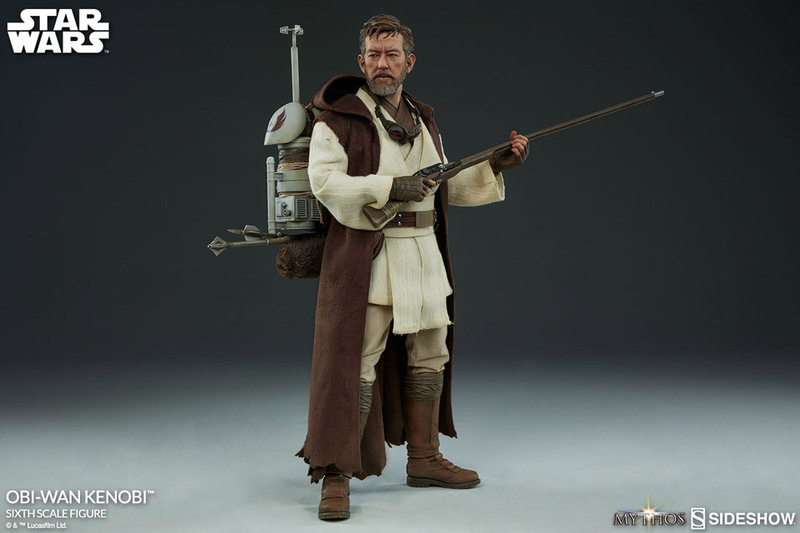 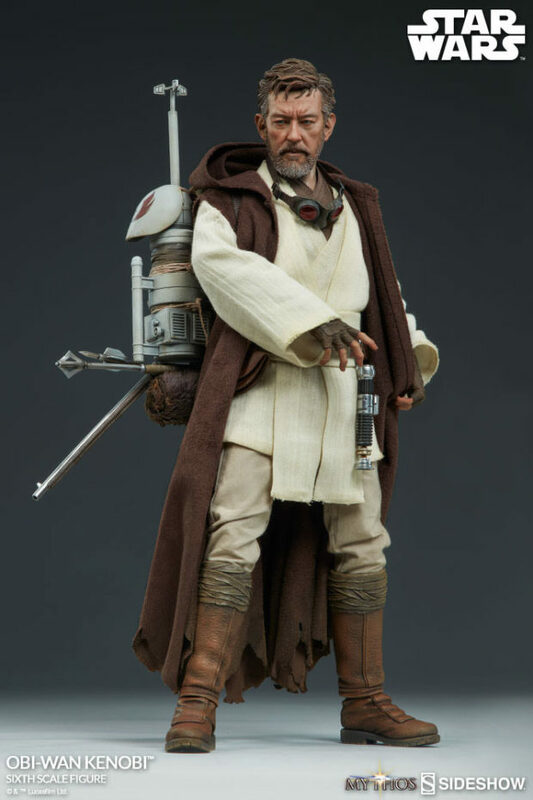 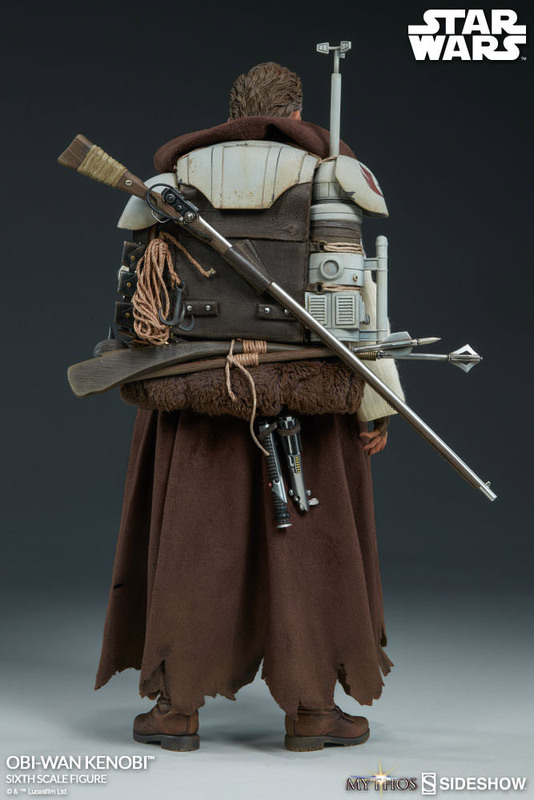 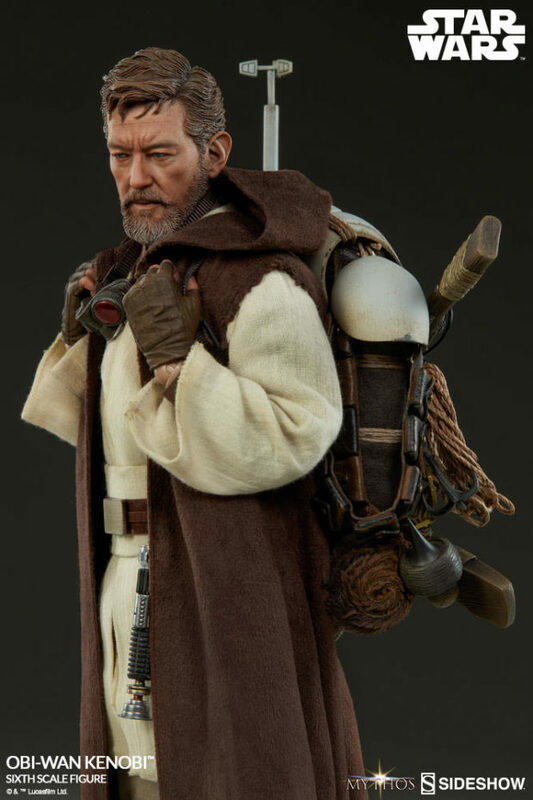 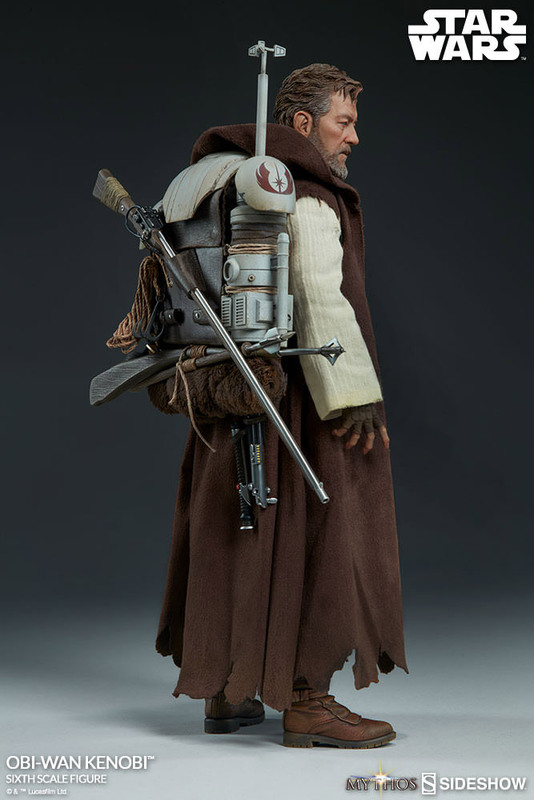 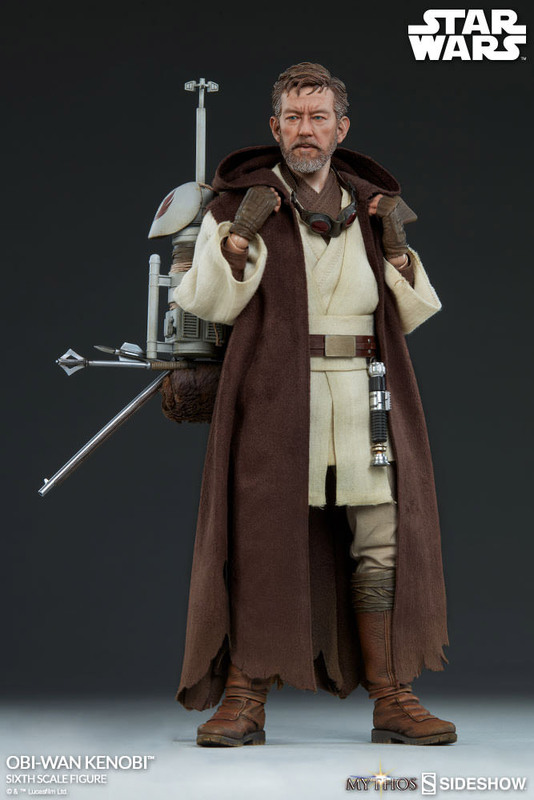 The figure also comes with survival equipment such as a moisture vaporator, a modified Tusken rifle and of course Obi-Wan’s own lightsaber. 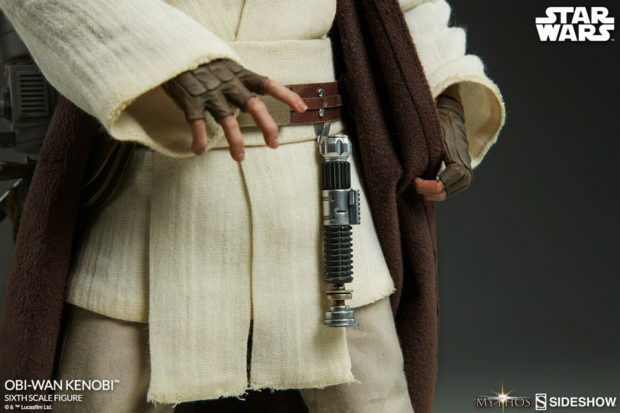 The figure also comes with seven hands and a freakin’ cool sleeveless robe. You can pre-order it now for $260 (USD), which is a steal if you ask me.